The Apartheid Museum is a museum complex in Johannesburg dedicated to illustrating apartheid and the 20th century history of South Africa. Opened in 2001, it was the first of its kind, showing the rise and fall of apartheid. The building comprises several leading architectural firms and is a superb example of design, space and landscape. The exhibits have been assembled and organized by a multi-disciplinary team of curators, film-makers, historians and designers. They include film footage, photographs, text panels and artifacts illustrating the events and human stories. 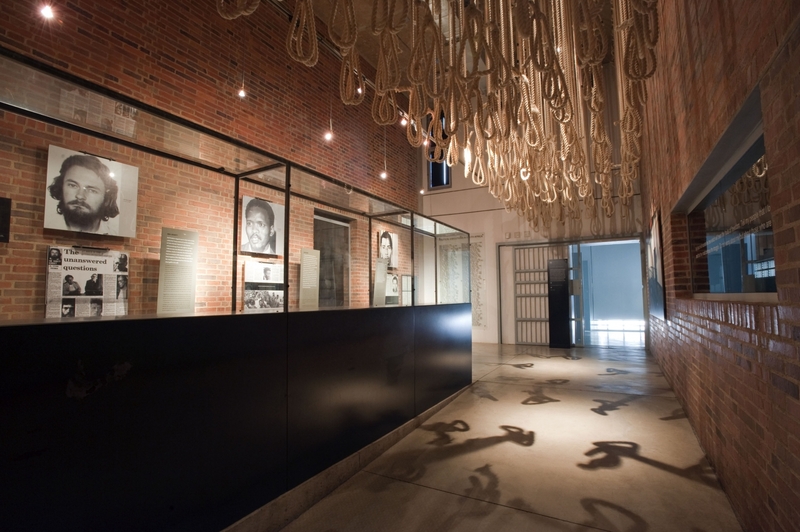 The Apartheid Museum offers 22 individual exhibition areas that take the visitor through a dramatic emotional journey that tells a story of a state-sanctioned system based on racial discrimination and the struggle of the majority to overthrow this tyranny. Adults: R 65.00 Pensioners, students, children: R 50.00 Opening time: Tues – Sun: 9 am – 5 pm The Museum is closed on Mondays, Good Friday and Christmas Day.